Regular care will keep Timberland boots in good condition for many years. Timberland boots are made of strong leather and are made to withstand harsh conditions. They are heavily treaded to provide good grip while working, and the leather is treated to repel water and stains. Keeping Timberland boots in good condition requires weekly cleaning and conditioning. There are several products and tools on the market to assist in keeping these boots in like-new condition for many years. Which products or tools are needed is determined by the type of leather from which the boot is made. Clean the surface of the boot with a brush or damp cloth. Use a leather cleaner like Renewbuck Suede and Nubuck Cleaner to remove dirt. The idea is to get all of the dirt off the surface of the boot before conditioning or polishing to prevent degradation of the leather. If the boot is suede or nubuck, use a rubber-tipped brush to clean the surface. This will restore the nap. Clean boots once a week. Condition the leather to keep it soft and moist. Use a cream product like Boot Sauce, which comes in colors to match Timberland boots. Conditioning helps keep boot leather looking and feeling like new. Condition Timberland boots monthly. 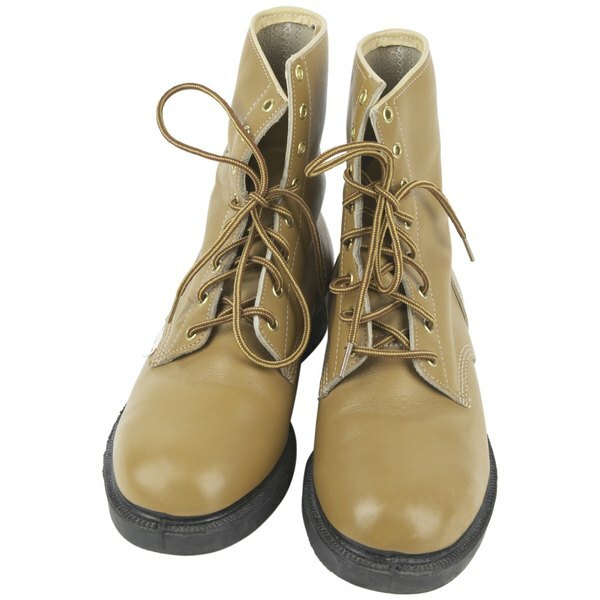 Polish non-suede or nubuck boots with a good polish like Boot Shine Neutral Polish. Polish comes in three types: liquid, cream and paste. Keep in mind that liquid polish is the easiest to apply, but does not last as long. Paste polishes last the longest because they have more wax content, but are more difficult to apply. Polish the boot once a month for best results. Weatherproof the boot to protect it from the elements. Timberland has a product called Waximum made specifically for weatherproofing. Do not rely on just the polish to protect your boots all the time. Apply weatherproofing if you work in a wet, muddy or oily environment on a regular basis to keep the boots looking new. The best treatment for suede or nubuck boots is prevention. As soon as you see a stain or dirt, take time to treat it immediately. There are solvent-based cleaners made for suede and nubuck on the market that are made for removing stains from boots.